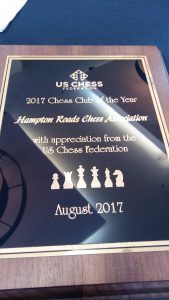 Hampton Roads Chess Association is a 501(c)(3) dedicated to bringing the benefits of chess to people of all ages and abilities across our region. 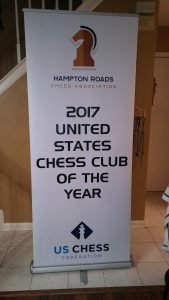 Please explore our website to see populations we serve, such as youth and adult competitive chess players, schools, the handicapped, the elderly, veterans, and Scouts. The HRCA annual membership meeting was held Tuesday, December 18th, at 6:15 PM, at Eastminster Presbyterian Church, 3229 MacDonald Road, Virginia Beach. The below link contains the slides that were briefed at the meeting. An annual financial statement and other documents can be found under the Board of Directors page on this website. 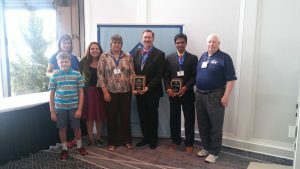 Ernie Schlich, Cheryl Havens, and Jack Bustillos were re-elected for 2-year terms on the Board of Directors. Christina Schweiss was re-elected for a 1-year term as President.